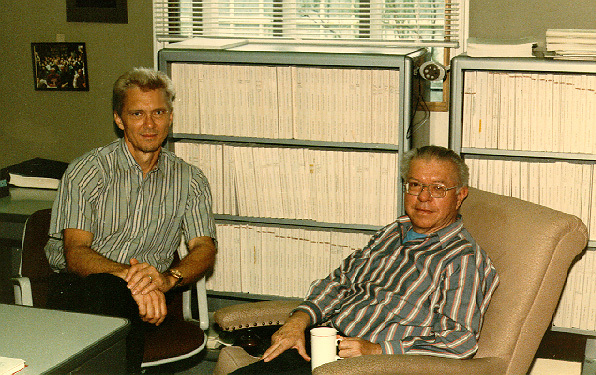 Fred Hoyle with Donald Clayton in Clayton's office at Rice University. April 24, 1985. Hoyle delivered the 1985 Marlar Lecture "Facts concerning the existence of extraterrestrial life" on April 25. This time marked 18 years of collaboration between Hoyle and Clayton. Hoyle was 70 years old; Clayton 50.